Draft: 2010, New York Yankees, 5th rd. Full name is Thomas Robert Kahnle ("CAIN-lee")…is married to Veronica...Graduated from Shaker High School in Latham, N.Y.…lettered in baseball, basketball and football...Attended Lynn University in Boca Raton, Fla.…became the highest drafted player from the Division II University…led the team in ERA, strikeouts and opp. BA as a sophomore in 2010…tossed the third no-hitter in the school's history on 3/13/10…was part of the school's NCAA Division II Championship team in 2009, tossing 12.2 scoreless innings in the postseason as a freshman. Went 2-0 with one save and a 6.56 ERA (23.1IP, 17ER) in 24 relief appearances over three stints with the Yankees (3/29-6/4, 8/3-4, 8/16-9/30)…opponents hit .256 (23-for-90, 3HR); LH .222 (10-for-45, 2HR), RH .289 (13-for-45, 1HR)…allowed 8-of-12 inherited runners to score (66.7%)…retired 15-of-24 first batters faced (62.5%)...Tossed 48 pitches in 4/6 loss vs. Baltimore, the second-most in a single game in his career (threw 53 pitches on 6/20/14 vs. Milwaukee w/ Colorado)...Was ejected in the seventh inning of 4/11 win at Boston…was his second career ejection (also 8/24/17 at Detroit)...Was placed on the 10-day disabled list from 4/17 (retroactive to 4/16) - 5/25 with right shoulder tendonitis (missed 33 team games)…in two rehab appearances (one start) with Single-A Charleston (1GS) and Triple-A Scranton/WB (1G), combined to go 1-1 with a 6.00 ERA (3.0IP, 5H, 2ER, 0BB, 2K, 1HR)...Made his first Major League appearance since 4/12 at Boston in 5/26 loss vs. Los Angeles-AL, allowing 4R/2ER in 0.2IP (2H, 2BB)...Tossed 1.0 perfect inning (1K) in 8/21 win at Miami, earning his fourth career save and first since 9/4/16 at Minnesota w/ Chicago-AL...In 25 total relief appearances with the RailRiders (including his rehab assignment), went 2-2 with one save, a 4.01 ERA (24.2IP, 11ER) and 37K. Combined with the Yankees and White Sox to go 2-4 with a 2.59 ERA (62.2IP, 18ER) in 69 relief appearances…opponents hit .228 (53-for-232, 4HR); LH .315 (29-for-92, 0HR), RH .171 (24-for-140, 4HR)…allowed 9-of-28 inherited runners to score (32.1%)…retired 47-of-69 ﬁrst batters faced (68.1%)... In 32 games with the Yankees, went 1-1 with a 2.70 ERA (26.2IP, 8ER)... Ranked eighth among relievers (third in the AL) with a 13.79 K/9.0IP ratio (96K, 62.2IP)... Had at least 1K in 29 straight games from 5/6-7/22, the Majors' second-longest streak of the season by a reliever behind Milwaukee's Corey Knebel's 45-game stretch from 4/3-7/15... Was acquired by the Yankees with INF Todd Frazier and RHP David Robertson from Chicago-AL on 7/18 in exchange for RHP Tyler Clippard, LHP Ian Clarkin and OFs Blake Rutherford and Tito Polo... Was added to the Yankees' active roster on 7/19 and made his Yankees debut in that day's loss at Minnesota, tossing a perfect eighth (1.0IP, 2K)…became the fourth New York-born pitcher to appear for the Yankees in the last four seasons (also RHP Dellin Betances, New York City; RHP Danny Burawa, Riverhead; and RHP Matt Daley, New York City)... Earned his ﬁrst win as a Yankee on 8/16 at the Mets (BS, 0.2IP)... In 8/24 loss at Detroit, struck out three batters in 1.0IP before being ejected by HP umpire Carlos Torres with two outs in the sixth for throwing behind Miguel Cabrera…was his ﬁrst career ejection... Recorded a career-long 13.1-inning scoreless streak over 14 games from 8/24-9/26 (9H, 5BB, 20K)... Made his postseason debut, posting a 2.38 ERA (11.1IP, 3ER) with one save in seven relief appearances…had four multi-inning scoreless playoﬀ outings, one of four relievers in Yankees history with at least four such appearances in one postseason (also Mariano Rivera-6G in 2003, 5G in 1996, 4G in 2001; Goose Gossage-5G in 1981 and David Robertson-4G in 2017)... Retired all 7BF over 2.1 scoreless innings in AL Wild Card win vs. Minnesota (2.1IP, 1K)…was the longest perfect outing by a Yankees reliever in the postseason since Mariano Rivera (2.2IP) in 1996 ALDS Game 2 vs. Texas... Earned his ﬁrst save as a Yankee in ALDS Game 4 vs. Cleveland, entering with two on and no one out in the eighth and retiring all 3BF, then striking out all 3BF in the ninth…became the third pitcher (fourth occurrence) to record at least 5K in a postseason appearance of 6BF-or-fewer, joining St. Louis' Todd Worrell in 1985 World Series Game 5 vs. Kansas City (2.0IP, 6K, 6BF) and Cleveland's Andrew Miller twice in the 2016 ALCS vs. Toronto: Game 1 (1.2IP, 5K, 6BF) and Game 2 (2.0IP, 5K, 6BF)…is the only one of the three to also earn a save in the appearance... In 37 relief appearances with the White Sox, went 1-3 with a 2.50 ERA (36.0IP, 10ER) and 60K, while walking just seven batters. Split the season between Class AAA Charlotte and the White Sox, his first with the organization.  Twenty-four of his 29 outings with the Sox were scoreless … worked 1.0-plus IP 22 times.  Allowed 33.3 percent (3-9) of inherited runners to score … first batters faced went 2-22 (.091) … pitched five times on zero rest, recording a 1.69 ERA (1 ER/5.1 IP) with five strikeouts.  Limited left-handers to a .143 average (5-35), and opponents to a .154 average (2-13) with RISP/two outs.  Was recalled from Class AAA Charlotte on 4/29 … made his season debut that night at Baltimore, working a scoreless eighth inning … was optioned back to Charlotte on 5/1, recalled again on 5/5 and optioned on 5/8 without making an appearance.  Was recalled by the Sox on 5/23 to serve as the 26th man for a doubleheader vs. Cleveland … worked 1.0 scoreless IP on 5/24 vs. Cleveland, his first appearance at home. 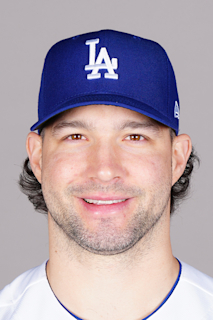  Suffered his first loss and blown save on 5/28 at Kansas City, allowing one run on two hits without recording an out … surrendered a game-tying, RBI double to Drew Butera and game-ending single to Brett Eibner in the ninth.  Was optioned to Charlotte on 5/30 … was recalled on 6/3 and pitched that night at Detroit, allowing two runs on four hits over 1.0 IP … was optioned back to the Knights after the game.  Was recalled from Charlotte on 7/9, replacing Carlos Rodon … walked Joe Mauer with the bases loaded to force in the game-ending run in the 12th inning on 7/29 at Minnesota.  Posted a 0.51 ERA (1 ER/17.2 IP), with three holds and 18 strikeouts over his final 17 appearances from 8/7-9/30 … recorded a career-high 9.1 scoreless IP streak in his final 10 outings from 9/3-30, allowing just four hits with nine strikeouts.  Pitched out of a bases-loaded jam in the 12th inning on 9/4 at Minnesota for first save with the Sox … posted holds on 9/24 at Cleveland and 9/26 vs. Tampa Bay.  Opened the season in Charlotte's bullpen, converting seven of his 10 save opportunities … limited right-handers to a .136 average (9-66) … opponents went 5-25 (.200) with RISP.  Struck out a season-high five batters on 4/24 at Toledo and recorded his only win on 5/4 vs. Columbus (1.0 scoreless IP).  Converted his last five save opportunities from 5/31-7/6. Appeared in 36 games with Colorado after beginning the season with Class AAA Albuquerque. ... Was recalled by the Rockies from Albuquerque on 6/1. ... Held right-handers to a .203 average (15-74), compared to a .320 mark (16-50) against left-handers. ... Posted a 1.13 ERA (1 ER/8.0 IP) over 10 games when pitching on zero days rest. ... Recorded his first career save on 8/7 at Washington, tossing a scoreless ninth inning. ... Was optioned back to Albuquerque on 8/26. Spent the entire season on Colorado's Major League roster after being a 2013 Rule 5 pick (NYY)...made 54 relief appearances going 2-1 with a 4.19 ERA (68.2 IP, 32 ER), 31 walks and 63 strikeouts...allowed just 6.7 hits per 9.0 innings, lowest on the club...His 54 games were fifth-most among National League rookie pitchers...Limited hitters to a .206 (51-for-248) clip, lowest on the team...left-handers hit just .185 (23-for-124), sixth lowest among NL pitchers with at least 60.0 innings pitched...Made his Major League debut on April 3 at Miami, tossing 1.2 innings and allowing one run on one hit with a walk and a strikeout...recorded his first career hold, finishing the year with eight holds...Earned the win on April 5 vs Arizona...threw 1.2 scoreless innings and gave up just one hit...was his second career appearance...Tossed career-high 3.0 innings June 13 at San Francisco in relief of injured De La Rosa (2 H, 1 ER, 5 SO)...Struck out five in 2.0 innings on April 21 vs. San Francisco, just the sixth Rockies reliever in franchise history with five strikeouts in 2.0 or fewer innings...first since Ottavino on June 28, 2012 vs. Washington...Was 2-1 with a 2.68 ERA (50.1 IP, 15 ER) in 35 games prior to the All-Star break and 0-0 with an 8.35 ERA (18.1 IP, 17 ER) in 19 games after the break...Was the first Rockies Rule 5 selection to make the team and stay with the club his whole first season since infielder Luis Gonzalez in 2003. Spent the entire season with Double-A Trenton appearing in a team-high 46 games... Finished 35 games and saved 15 of them...his 15 saves were tops among the Yankees farm system... Converted 10-straight saves to begin the season allowing just 9 runs/8 earned over 34.1 innings... Limited left-handed hitters to a .159 average (13-for-82) and right-handers to a .197 clip (25-for-127). Appeared in 30 games with Single-A Tampa, going 2-1 with a 2.45 ERA (55.0IP, 15ER), striking out 72 batters…led all Tampa relievers in strikeouts... Was promoted to Double-A Trenton on 9/2, making one regular season relief appearance (2.0IP, 2H, 2K)…made three postseason appearances out of the bullpen for the Thunder, tossing 3.0 scoreless innings (2H, 3BB, 3K). Spent the entire season with Single-A Charleston, going 3-5 with a 4.22 ERA (81.0IP, 38ER) in 40 reliefappearances…led all Charleston relievers with 112K and posted the ﬁfth-most strikeouts among all Yankeesminor league pitchers. Made his professional debut with short-season Single-A Staten Island, posting a 0.56 ERA (16.0IP, 1ER) with just3H and 25K in 11 relief appearances…posted a .061 opponents' batting average (3-for-49). August 16, 2018 New York Yankees recalled RHP Tommy Kahnle from Scranton/Wilkes-Barre RailRiders. August 4, 2018 New York Yankees optioned RHP Tommy Kahnle to Scranton/Wilkes-Barre RailRiders. August 3, 2018 New York Yankees recalled Tommy Kahnle from Scranton/Wilkes-Barre RailRiders. June 4, 2018 New York Yankees optioned RHP Tommy Kahnle to Scranton/Wilkes-Barre RailRiders. May 25, 2018 Tommy Kahnle roster status changed by New York Yankees. May 23, 2018 New York Yankees sent RHP Tommy Kahnle on a rehab assignment to Scranton/Wilkes-Barre RailRiders. May 21, 2018 New York Yankees sent RHP Tommy Kahnle on a rehab assignment to Charleston RiverDogs. April 17, 2018 New York Yankees placed RHP Tommy Kahnle on the 10-day disabled list retroactive to April 16, 2018. Right shoulder tendonitis. April 6, 2017 Chicago White Sox recalled RHP Tommy Kahnle from Charlotte Knights. March 22, 2017 Chicago White Sox optioned RHP Tommy Kahnle to Charlotte Knights. July 9, 2016 Chicago White Sox recalled Tommy Kahnle from Charlotte Knights. June 4, 2016 Chicago White Sox optioned RHP Tommy Kahnle to Charlotte Knights. June 3, 2016 Chicago White Sox recalled Tommy Kahnle from Charlotte Knights. May 30, 2016 Chicago White Sox optioned RHP Tommy Kahnle to Charlotte Knights. May 23, 2016 Chicago White Sox recalled Tommy Kahnle from Charlotte Knights. May 9, 2016 Chicago White Sox optioned RHP Tommy Kahnle to Charlotte Knights. May 5, 2016 Chicago White Sox recalled Tommy Kahnle from Charlotte Knights. May 1, 2016 Chicago White Sox optioned Tommy Kahnle to Charlotte Knights. April 29, 2016 Chicago White Sox recalled Tommy Kahnle from Charlotte Knights. March 29, 2016 Chicago White Sox optioned RHP Tommy Kahnle to Charlotte Knights. November 24, 2015 Colorado Rockies traded RHP Tommy Kahnle to Chicago White Sox for RHP Yency Almonte. November 20, 2015 Colorado Rockies designated RHP Tommy Kahnle for assignment. October 5, 2015 Colorado Rockies recalled RHP Tommy Kahnle from Albuquerque Isotopes. August 27, 2015 Colorado Rockies optioned RHP Tommy Kahnle to Albuquerque Isotopes. June 1, 2015 Colorado Rockies recalled Tommy Kahnle from Albuquerque Isotopes. March 25, 2015 Colorado Rockies optioned RHP Tommy Kahnle to Albuquerque Isotopes. September 2, 2014 Tommy Kahnle roster status changed by Colorado Rockies. August 16, 2014 Colorado Rockies placed RHP Tommy Kahnle on the 15-day disabled list retroactive to August 13, 2014. Right shoulder inflammation. December 12, 2013 Colorado Rockies claimed RHP Tommy Kahnle off waivers from New York Yankees. January 31, 2013 Tommy Kahnle assigned to New York Yankees. September 2, 2012 RHP Tommy Kahnle assigned to Trenton Thunder from Tampa Yankees. May 10, 2012 Tommy Kahnle assigned to Tampa Yankees from Staten Island Yankees. May 7, 2012 Tommy Kahnle assigned to Staten Island Yankees from Tampa Yankees. May 6, 2012 RHP Tommy Kahnle assigned to Tampa Yankees from Charleston RiverDogs. April 5, 2012 Tommy Kahnle roster status changed by Charleston RiverDogs. August 23, 2011 Charleston RiverDogs activated RHP Tommy Kahnle from the 7-day disabled list. August 18, 2011 Charleston RiverDogs placed RHP Tommy Kahnle on the 7-day disabled list. April 4, 2011 RHP Tommy Kahnle assigned to Charleston RiverDogs from Staten Island Yankees. August 7, 2010 New York Yankees signed RHP Tommy Kahnle. August 7, 2010 Tommy Kahnle assigned to Staten Island Yankees from New York Yankees.